Before Posh, before PSG, before the cornrows. 1. Beckham was born in Leytonstone, London in 1975 to parents who were staunch Manchester United fans. 2. As a youngster Beckham had trials with his local club Leyton Orient. 3. He also attended Tottenham Hotspur's school of excellence. 4. He signed schoolboy forms at Manchester United on his 14th birthday. 5. He then signed a youth training contract with the team after his 16th birthday. 6. 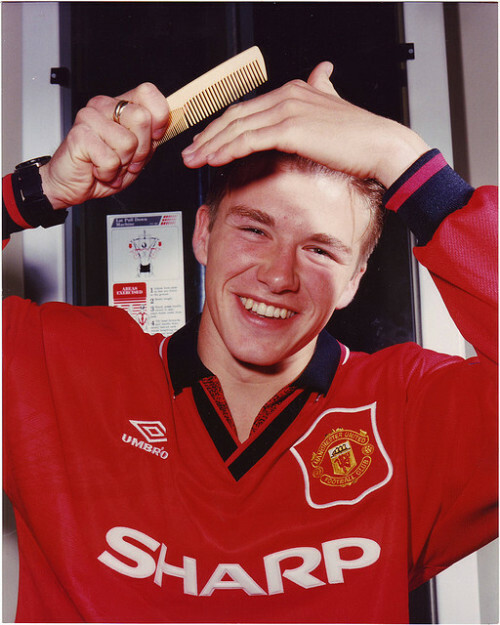 Beckham signed his professional contract with Manchester United when he was 17. 7. He was 21 when he joined the England squad for Euro 96. 8. Beckham has scored a total of 129 goals during his club career, and 17 goals internationally.